Update January 29, 2014- Apple posted Q4 earnings so big that they are incomprehensible. The iPhone 6 sold 74 million units. Apple is now at a market cap of $700 Billion, and yet it is still growing revenue at 30%. What did we predict back in 2011? Read below. We have gained exclusive access to Steve Jobs’ personal journal (not really). In it, he wrote down some thoughts about his future plans and inventions. 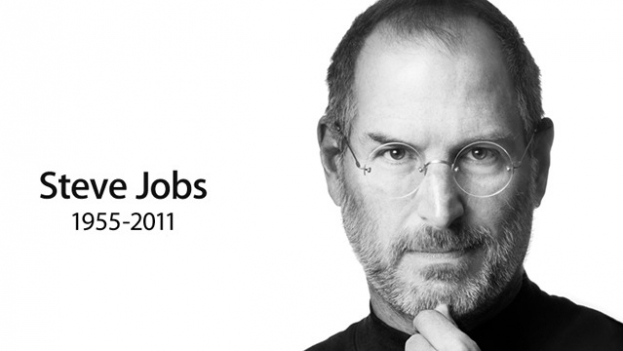 Based on these, we have created an estimated timeline of what Steve Jobs would have accomplished had he lived longer. The year 2012, age 57, AAPL at $400: Home media centers inside a 50-inch TV display. The current system of crude remote controls, CD discs, DVDs, confusing stereo systems, etc. are replaced by the Apple-simplicity design called the iHome. It then becomes apparent why iCloud was developed. Apple begins to encroach into Netflix’s territory. 2013, age 58, AAPL at $450: Corporate computing. Apple, via the popularity of the iPhone and iPad, creates such demand by executives that the enterprise computing market is cracked and Apple computers proliferate throughout companies around the globe. 2014, age 59, AAPL at $460: Steve Jobs visits the University of Miami’s stem cell program for mysterious reasons. 2016: The global depression persists as world leaders failed to address the fundamental banking problems that caused the collapse of 2008. Nevertheless, people keep buying Apple products. 2016, age 61, AAPL at $560: Apple Movie/TV studios. Just as HBO morphed from a mere portal for movies to became an original content creator of shows like the Sopranos and Entourage, Steve Jobs revisits Hollywood and creates original movies and shows to be aired on the Apple home media centers. He changed the industry in the 1990’s with Pixar and digital animated movies went on the become the biggest box office earners. He does it again now decades later. Apple Studios, based in Cupertino and not Hollywood, bypasses the cable and broadcast middlemen and is seen via Internet streaming. Stock prices for Disney, CBS, Comcast/NBC, Time Warner, etc, all tank. 2017, age 62: Apple buys an obscure Japanese electronics company. No one knows why. 2018, age 63, AAPL at $750 and the largest company in the world by far: Apple buys medical device company Medtronic for $60 Billion. Steve Jobs is not on the conference call and the rationale for the acquisition does not satisfy an outraged investor base. CNBC commentator Melissa Lee criticizes Steve Jobs’ judgment as she did the iPad in 2010. 2020, age 65: Steve Jobs announces the iRobot, which is a product much like the 2004 Will Smith movie. The rationale for the Japanese electronics acquisition three years ago is now clear. 2021: As world population grows and fresh water becomes scarce, global leaders become wary of the iRobot fearing that it will take jobs. Also, Steve Jobs’ control of the media now has the United States Senate investigating Apple business practices. Steve Jobs is chased out of the country by onerous regulations placed on Apple and he takes up headquarters in a remote forested area of China. He is rumored to be dead at age 66. 2025, age 70, AAPL at $1,900: Clean energy. Steve Jobs controls most of China’s manufacturing sector now. The air pollution in Beijing that year caused 5 Million deaths over the summer. After failing at developing clean energy on their own, the Chinese government gave Apple full rights to the solar panel plants in hopes that Apple could save their cities. Using the efficient technology developed by the iPad plants, Apple makes cheap solar power available to the world. Solar panels the size of an iPad can power a home. 2030, age 75, AAPL at $4,000: Brain computer interface and implants. The much-criticized acquisition of Medtronic becomes yet another genius decision by Steve Jobs. Using Medtronic’s deep brain stimulation technology, Apple masters the ability to interface computers with the brain. The iBrain augmentation takes off in Japan and China. Five years later, the third-world country called the United States approves the devices for use. Soon afterward, all special-ops soldiers are implanted with brain computers that guide iRobots into battle. 2050, age 95: The secret to Youth. After nearly dying from cancer decades ago, Steve Jobs has proceeded to live to age 95, and still looks like a 60-year-old man. It is revealed that he has been reinfusing stem cells harvested from him at The University of Miami back in 2014. The stem cells have the longer telomeres of a 59 year old man. 2060, age 105: Space travel. With private space travel and space stations a reality, Steve Jobs developed a 5-man space capsule able to travel to a relatively nearby star that was discovered to have an earth-like atmosphere. With a crew, he embarks on a 20-year journey to the planet. This entry was posted in - Medical Devices, - Opinion. Bookmark the permalink.